Attacked from within! 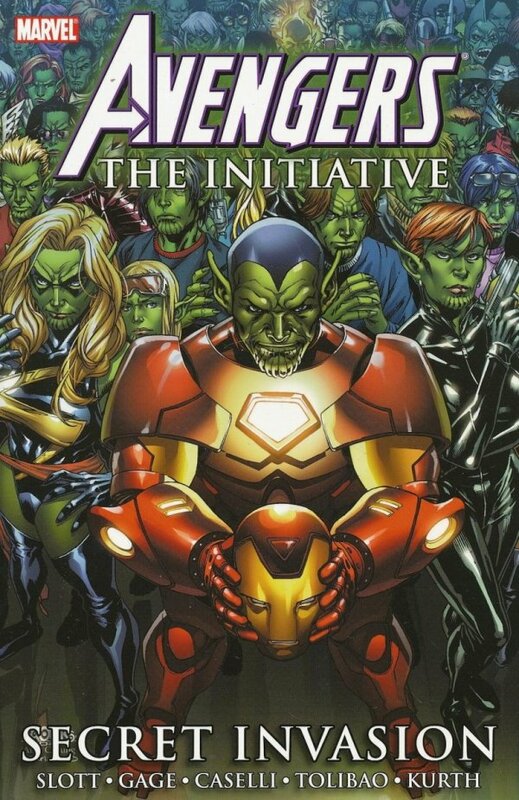 For years, humans have warred with the Skrulls, a nefarious race of shape-shifting aliens - but now, having developed a way to avoid any type of detection, the Skrulls have infiltrated Earth's superhuman community at every conceivable level, including the chief administrator of the Fifty State Initiative, Hank Pym, a.k.a. Yellowjacket. Leading up to the Skrulls' full-scale attack on the planet, the Pym imposter used his political clout to station one of his fellow aliens on every single one of the Initiative's fifty state-based teams. Now, with Skrulls openly attacking cities across the world and the entire planet in chaos, those sleeper agents have been activated. The current cadets and those trained by the Initiative must put all their instruction and hard work to use to foil the Skrulls' takeover bid. But first they have to figure who, if anyone, they can trust.